I would rather train a striped zebra to balance an Indian club than induce a dachshund to heed my slightest command. Is there a more iconic, universally and joyously cherished species of canine than the common domesticated sausage dog? Lean, mean, as elongated as it gets, the dachshund, aka ‘teckel’ or ‘dackel’, truly is a gift that keeps giving. With their long, stumpy bodies, and a neurotic stubbornness unseen in other breeds, dackels proved the ultimate hunting dog – ‘dachshund’ literally means ‘badger dog’; their deft ability to pick up scent, chase, and flush out burrow-dwelling animals is beyond compare to this day. While some believe their early roots go back as far as Ancient Egypt, it’s not known exactly when the dachshund first appeared in the modern era. Either way, since 1929, the town of Gergweis, Bavaria has remained the dachshund breeding centre of the world. Napoleon Bonaparte kept ‘Grenouille’ and ‘Faussete’ as confidants and aides; German Field Marshal Erwin Rommel kept them by his side; Kaiser Wilhelm II made them the sanctioned ‘hund’ of the Prussian Empire, owning five: two of which – ‘Wadi’ and ‘Hexi’ – almost ruined relations by devouring one of the prized pheasants of Austria). Devastated by the loss of his faithful favourite, ‘Erdmann’, Kaiser Bill built a marble memorial to commemorate the memory. Regrettably, World War I marked a turn of PR fortune for the breed. Copping a propaganda beating from the Allied Forces, Western media depicted them as a symbol of the enemy, replete in the Kaiser’s pointed warmongering helmet. “With its German name and origins”, as writer Mary Evans points out, “the dachshund was used by cartoonists as a short hand for the German threat”. World War II proved a similar scenario. Interestingly, around this time, the Nazi regime was alleged to have trained a dackel named ‘Kurwenal’ to be able to speak using a different number of barks for each letter of the alphabet. But not even the propaganda of two World Wars could halt the international appeal of the dachshund. The dogs became embraced worldwide, not least of all in the USA: General George S. Patton was known to keep a doxie; Grover Cleveland shared the White House with one. So too, Teddy Roosevelt and JFK. Ever the multi-tasker, dackels also brought a muse-like appeal to the world’s artistic greats. Picasso’s relationship with his pal, ‘Lump’ is well chronicled in the book Picasso and Lump: A Dachshund’s Odyssey. Pictures within evoke the clear affinity between man and hund, with Picasso embracing the dog like an infant, feeding together from the same dinner plate. 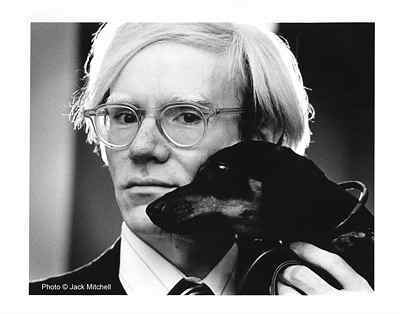 Andy Warhol frequently took his dogs ‘Amos’ and ‘Archie’ along to interviews to answer the questions he didn’t care for. They chaperoned him to galleries, on business trips, on photo shoots and to his studio. Rembrandt, Georgia O’Keefe, Diego Rivera and Peter Paul Rubens all relished their dachshunds. Dita Von Teese relaxed nightly with ‘Greta’ and ‘Eva’; ‘Fred’ appears in essays by E. B. White. William Faulkner, Noel Coward, P.G. Wodehouse, Daniel Steele, Henry James, James Joyce, Toni Morrison; Frida Kahlo and Diego Rivera: all lovers of the floppy, loveable, neurosis-imbued balls of hair. Even the sporting arena is home to dackel magic. Let’s not forget Wayne Gretzky and his champion hund, ‘Clyde’. Or the deification of ‘Waldi’ as the official mascot of the 1972 Munich Olympic Games, the first in Olympic history. Despite a gradual decline in the dackel puppy birth rate since the Waldi Olympics, the dackel legacy continues to shine. I saw this enthusiasm in person last year in the Deutsch capital at the 36th annual Berlin Dachshund Races. Nerve centre for local dackel zealots, the ‘Liechtenrade Dackelranch’ proved quite a spectacle. 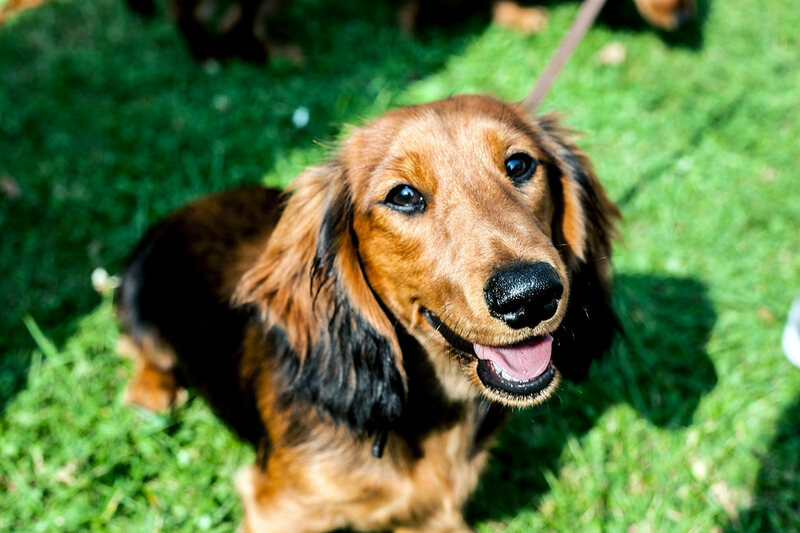 Canines en masse: wieners, dackels, teckels, hairy ones, bearded ones, shorn ones – a literal sausage fest, choc-a-bloc full of floppy ears and casual arrogance. I spent that afternoon watching heats by a 50-metre racetrack fenced with orange roadwork mesh, uniting with locals to drink beer, eat cake and watch short dogs run very fast, (or in some cases, become confused and forget to run at all). “If only we could enjoy the same sort of thing back in Oz”, I thought. To my later surprise, I learned that dackel racing actually had its roots in Australia – allegedly, we’d kicked off the first wiener races back the 1970s, a legacy all but forgotten (with the exception of the amateur run held each year in Port Fairy). This year, Hophaus is breathing new life back into the forgotten thrill of live dachshund racing. On Saturday, September 19, we’ll be hosting the inaugural “Running of the Wieners”, a day of flailing tongues, confused little hunds, good food, good bier and smiles all round. The only thing better than a sausage dog is a bunch of them running for glory down a punter-lined racetrack. So, get on down to the Podium Courtyard, Southgate (near St Johns Church) and celebrate a brand new sausagefest this September. (Be sure to get your dog’s outfit ready too as we we’ll be judging ‘Best Dressed Dachshund’ for those in the race and those watching).